The book is paperback containing about 32 pages and contains one or two sentences on each page with both big and small sized fonts. The book cover dividers are really handy to bookmark a page. 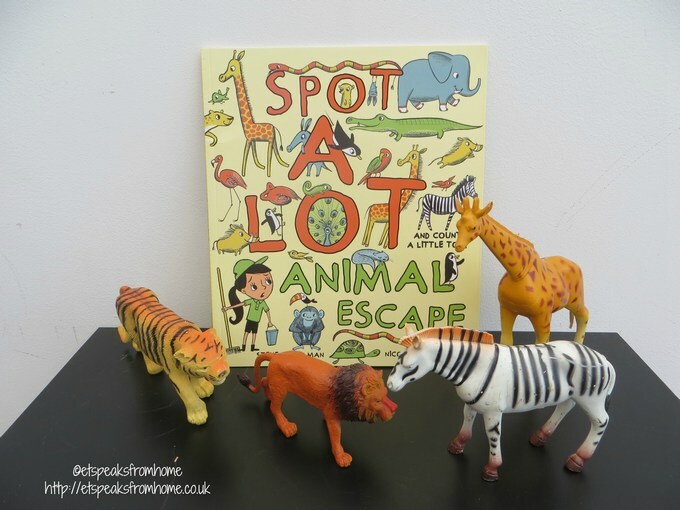 This book is about a trouble at the zoo as all the animals have escaped from their cages. 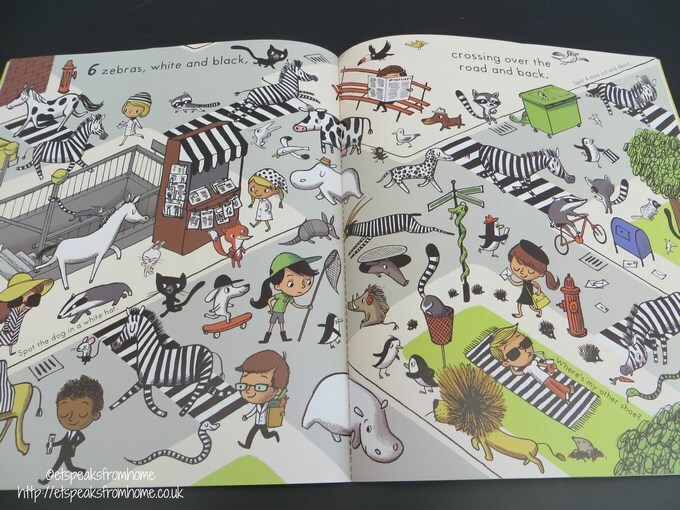 The animals are everywhere in the book and you have to look carefully to help the zookeeper count and spot all the animals. There are a lot of activities happening on each page with all kinds of animals, birds and all sorts. This is a book with few words but is packed full of beautiful animal illustrations. Both of my children were able to read and spot the runaway animals. My daughter struggled slightly as the book is too busy with all the animals but she did get it in the end. It is fun counting, finding the animals and learning about their type of species. This book is suitable for preschool and Key Stage 1. Disclosure: I received this book from the publisher for free. However, they have not paid me for this review, and they do not exercise any editorial control over my review or anything else on this site. We are a member of Parragon Book Buddy.